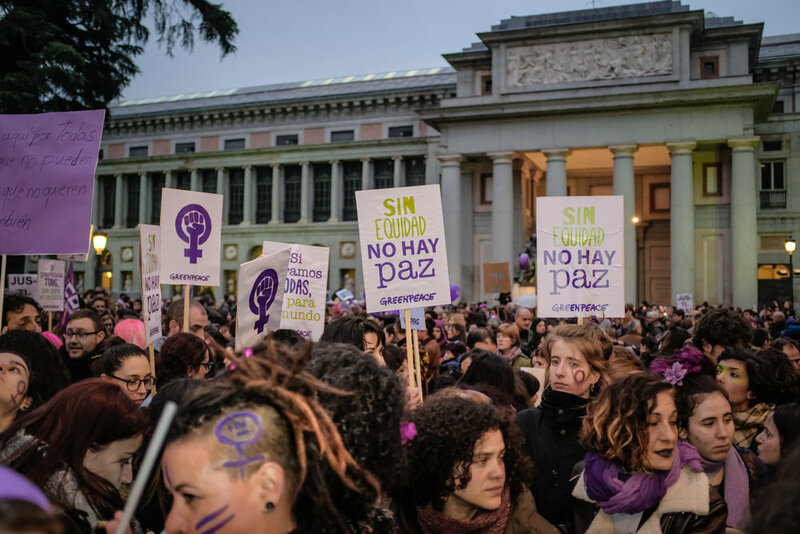 "Without equality there is no peace" is one of the slogans the Greenpeace gender team prepared for the protest marking International Women's Day in Madrid. 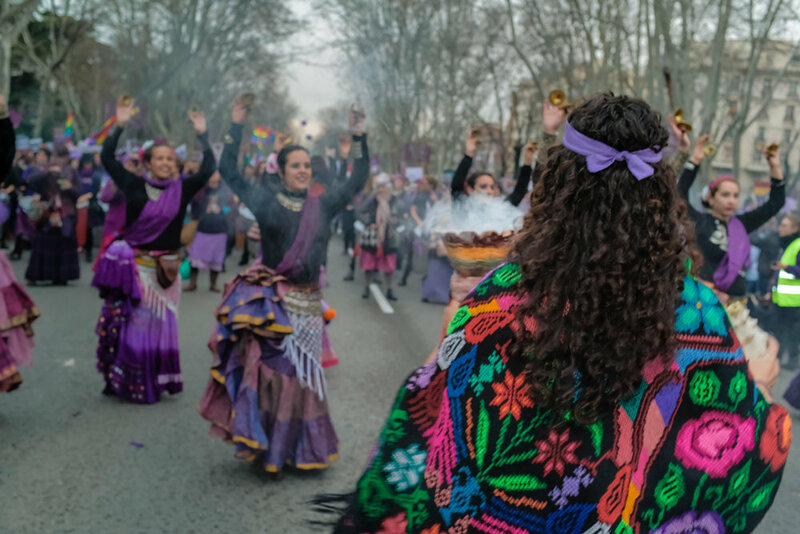 Many women in Spain are celebrating this occasion with the first-ever full-day strike and with dozens of protests across the country against wage gap and gender violence. The United Nations began promoting International Women's Day in 1975, as a day to celebrate the cultural, economic and political accomplishments of women, as well as to call for gender equality. People gathered during a nationwide feminist strike on International Women's Day at Cibeles Square in Madrid, Spain, March 8, 2018. Below are some photos taken of the Greenpeace gender team and other demonstration goers.